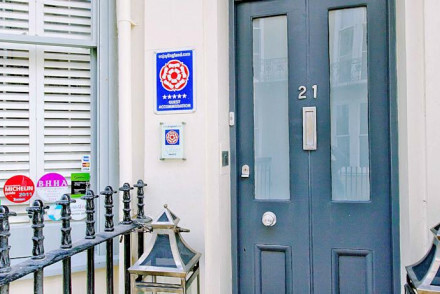 Brighton is a great weekend destination for fun-seekers and lovers of the British seaside, however for a place of its cool-credentials, size and popularity it has a limited number of really great accommodation options. But our selection of the best places to stay in Brighton should have something for even the pickiest, from luxury seafront boutique hotels to charming town house properties a stone's throw from the beach. Buzzy, colourful and packed with independent shops, cafes, bars and restaurants, Brighton has also got a traditional old pier, a pebbly seafront, the beautiful Royal Pavilion, an aquarium, plus the new addition: the i360 Tower, a moving lookout pod brought to you by the people behind the London Eye. Home to a great many creative ex-Londoners and a healthy gay population - don't be surprised to see club-wear or drag in the supermarket - Brighton benefits from a bohemian vibe, a thriving arts community and comfortable pockets. The Brighton Festival in May is the second largest arts festival in Great Britain, and Brighton Pride certainly rivals London for the biggest celebration. And the best places to stay in Brighton reflect this. Meaning you might be wise to expect London prices and hope to be pleasantly surprised. the SEALife aquarium and the marina. Here, we pick out the best places to stay in Brighton and ignore the rest! Probably the second best-known hotel in Brighton on our list is drakes. Occupying a great position overlooking the pier this boutique property has a 24 hour bar, decent restaurant and freestanding baths in some rooms, which are well-designed with huge beds. 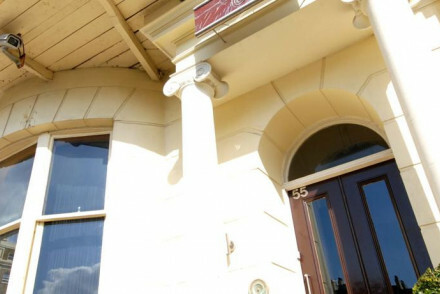 The Charm is a luxurious, tastefully decorated hotel in Kemptown with tasteful art and nice detailing. You’re close to Brighton’s top nightspots, but also The Lanes and the beach. A Room with a View is a contemporary B&B with views of the seafront. There are nine rooms, decorated in neutral and cream shades, and a charming breakfast area and lounge. Una is a B&B with 19 rooms all named after rivers. It serves excellent breakfasts and there's a bar where you can plan or reflect on dinner. The Kemp Townhouse in one of the most popular parts of Brighton is another B&B where you can also have afternoon tea and there is an honesty bar. One Broad Street is another great B&B with all white rooms and bright splashes of colour, excellent breakfasts and a great location about five minutes from the beach and The Lanes. The town's original boutique hotel, Blanch House, also in Kemp Town has individually designed rooms including the Snowstorm, which houses a collection of snow globes. Home made biscuits on arrival are a popular touch. 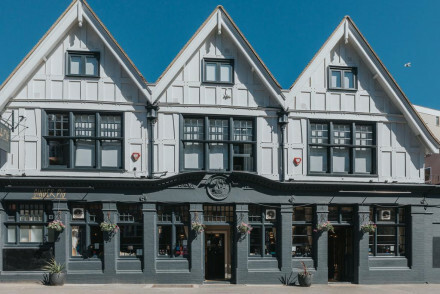 If you’re looking for a lively mini-break, Brighton is always a good choice, and the Artist Residence Brighton, is an arty, centrally located place to stay with great views and a cool cocktail bar. The 23 rooms and suites have been individually decorated and you’re close to the beach and everything else in Brighton. The feng shui aware Myhotel is decked out with karmic artwork and futuristic furniture and has an informal deli which serves richly delicious ice cream as well as a pleasant restaurant. The Hotel du Vin in Brighton is as dependable here as its sister establishments all over the UK. There is a wine bar and brasserie and the loft suites have telescopes. 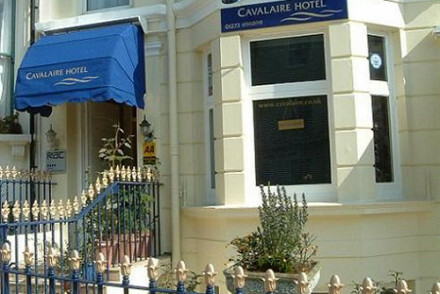 The Cavalaire has just six B&B rooms, converted from a welcoming Victorian townhouse. You’re in a great location, close to The Lanes and the Royal Pavilion and the rooms offer character and comfort starting from just £65 per night. 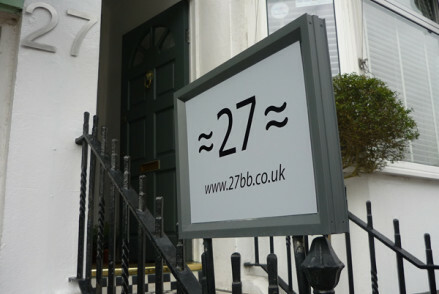 For a similar room rate you could also try Twenty Seven, a five room B&B just minutes from the seafront. Comfortable and modern. If you think that self catering is a better option for you, then check out the wide range with our online partner Booking.com. Gatwick Airport is your closest international airport, but Heathrow is quite convenient as well. Brighton has its own airport, which used to be called Shoreham Airport, which is connected to other UK destinations. Brighton also has great train links from London and the rest of the UK, and you can arrive in East Sussex by sea, docking at Newhaven (just 9 miles east of Brighton) - the ferries here cross from Dieppe, France. If you want to hire a car - which we highly recommend if you’re staying in Brighton and want to see more of East Sussex - we recommend you visit our online partner, Rentalcars. This is the UK, so expect changeable weather whatever the season. Brighton is popular in summer, of course, when the average maximum temperatures are around 20°C. But it’s also beautiful in spring and autumn - if you don’t mind a chill and a bit of a shower or two. Winter is wonderful if you like things to be ‘bracing’. 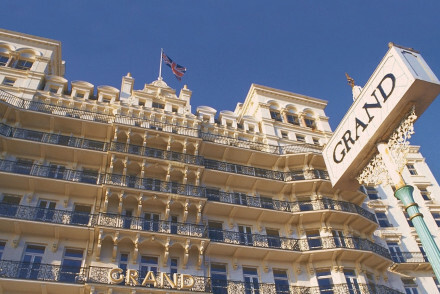 Still not sure which is the best place to stay in Brighton for you? consider the Most Romantic Hotels in East Sussex? 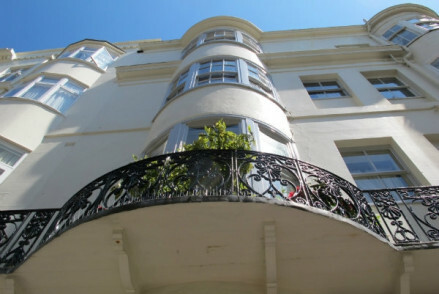 A welcoming Victorian townhouse B&B in one of the most vibrant and cosmopolitan areas of this beautiful coastal city. Rooms are decorated with character; iPod docking stations, wonderful bed linen and the occasional four poster bed. 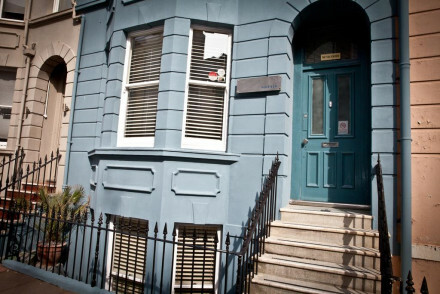 A homely B&B, walking distance from all the top Brighton sights. Close to nightlife - Brighton Seafront Night Clubs. Stylish and sophisticated B&B just minutes from both seafront and city centre. Feel at home with large double beds, crisp Egyptian cotton, fluffy bathrobes and free WiFi. The perfect base for exploring everything this eclectic city has to offer and close to the vibrant nightlife. Contemporary B&B on the seafront. Rooms have cream furnishings, large bathrooms, big windows and 5* mattresses. Charming breakfast room and lounge area. Perfect location to explore this eclectic city from. 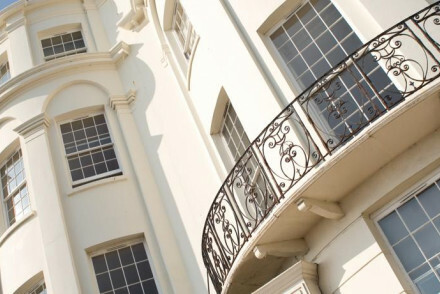 Refurbished townhouse hotel a stone's throw from Brighton's seafront - the town's original boutique hotel. Quirky, individually styled bedrooms, b+b plus Sunday lunch offered. Quirky - Individually designed bedrooms - all with a different theme. Downtown - A short walk from both the centre of town and seafront. Bar - Champagne, wine and cocktail bar. 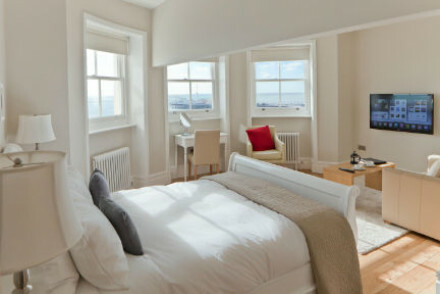 A new addition to the Harbour Hotels stable, Brighton’s Georgian seafront version offers relaxed contemporary living for couples and families (with older children) seeking a central location with ocean views, delicious food and pampering spa - all within strolling distance of local amenities. This arty 23 bedroom hotel, cocktail bar and restaurant is centrally located in Regency Square, with sea views over the iconic West Pier. Cool, contemporary decor in the middle of Brighton with lots of galleries and good restaurants just minutes away. Really great for weekend group getaways. Close to nightlife - Explore everything this eclectic city has to offer. 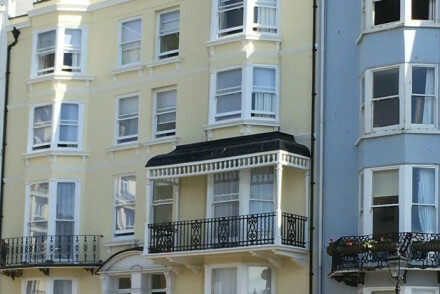 A charming townhouse hotel in the vibrant sea shore area of Kemp Town. The nine elegant rooms are thoughtfully put together featuring original art, large windows and incredibly comfy Indonesian beds. Though there is no restaurant the breakfast is sensational! Understated and utterly heavenly. Local markets - Wander through The Lanes, a pedestrianised enclave lined with jewellery shops, arty boutiques and funky clothes stores. Sights nearby - Check out the former pleasure palace of King George IV, the Islamist Indian inspired Brighton Pavilion. Great walks - Just 500m down the road is Brighton Pier, perfect for people watching and candy floss eating. A small boutique B&B located in the heart of Brighton. Cleanly styled rooms are all white on white with shutters covering the bay windows and pops of colour coming from contemporary art and soft furnishings. Indulgent breakfasts are served (complete with complimentary Blood Mary on the weekend). Local exploring - Ideally positioned just a short walk from most of the city's major attractions. Great walks - Take a stroll along the beach front promenade stopping at a fish and chip shop on the way. Don't let the 'pub with rooms' title put you off, this is a seriously chic spot. 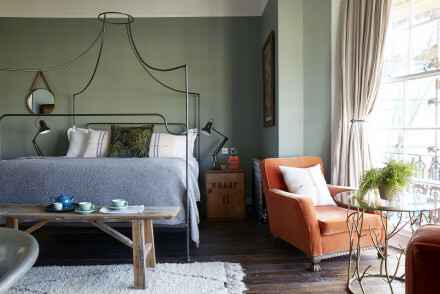 Smart rooms mix traditional and modern styles with steel green walls contrasting against the light parquet floors. The bathrooms are uber luxurious and the restaurant and bar serve exemplary food and cocktails. Foodies - Hosting a highly acclaimed restaurant serving top-notch gastropub grub. Sights nearby - Take a tour of the unusual Royal Pavillion in Brighton. Great walks - Take long walks along the coastal promenade. A great B&B just seconds from the beach and only 5 minutes from The Lanes. All white rooms with bright cushions and throws for a splash of colour, excellent breakfasts and great local knowledge for a homely stay. Perfect for weekends away or local exploring. 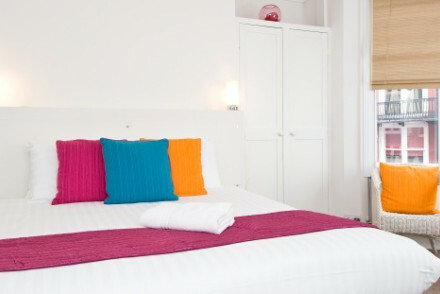 A charming, luxury hotel in Brighton's fashionable Kemptown district. The plush rooms are elegantly decorated and house filled with tasteful art. A stones throw from some of Brighton's finest night spots, it's a great launchpad for a lively weekend in the seaside city. City Style - An understated and elegant hotel situated in Brighton's fashionable Kempton, perfect for exploring the trendy seaside city. Great walks - Make the most of the great walks in the nearby Seven Sisters Country Park. Sights nearby - Five minutes walk from both Brighton Pier and The Royal Pavilion. 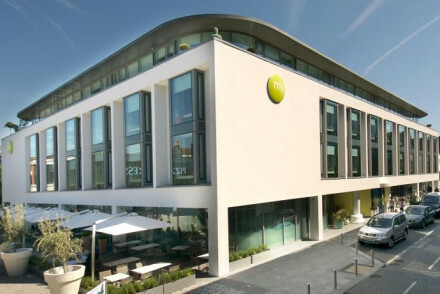 A contemporary hotel set in Brighton's equally modern marina. Malmaison, Brighton is undeniably cool with bold patterns, sharp lines and plenty of glass offering wonderful sea views. Nice touches in the room include fine cotton sheets, Lavazza coffee-makers and minimalist bathrooms. A smart choice. A glorious Victorian hotel with sea views, traditionally elegant bedrooms and deluxe suites over 7 floors. Brighton's original "grand dame" offers an exceptional culinary experience with locally sourced ingredients and luxury spa. A perfect venue for weddings, conferences or a short seaside break. Spa - Wide range of ESPA treatments for men and women. A chic boutique property located in the heart of Brighton. Individually styled rooms are elegant and contemporary with chandeliers, plush leather headboards and indulgent bathrooms. Fantastic breakfasts are served and you'll find yourself just a short stroll from the city's major attractions. Local exploring - Perfectly located within walking distance to the beach and most of Brighton's main attractions. Sights nearby - Visit the wonderfully out of place Indian Royal Pavillion. 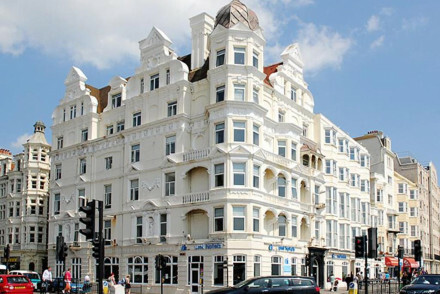 A traditional hotel located in Brighton's quieter neighbour, Hove. Spacious rooms are individually styled with chintz fabrics, patterned wallpaper and the best have large four posters. A large garden offers the opportunity to catch some rays in the summer and the sea is just a short walk away. Local exploring - Boasting a quiet location but Brighton is within easy reach. Sights nearby - Head into Brighton and visit the Royal Pavillion and the famed pier. Great walks - Take a coastal walk along the promenade. Candles, artworks and funky beds create the personality of this colourful, feng-shui-aware MyHotel. 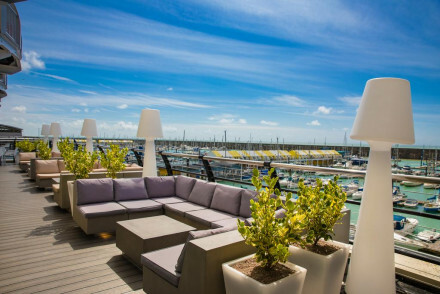 Award winning cuisine, knockout cocktails, a cool rooftop suite and excellent location. Great rates on certain days. A chic choice. City Style - Ultra hip hotel in the trendy North Laine area mixes the ancient principles of Feng Shui with cutting edge modern design. Great walks - A ten minute walk brings you to Brighton beach, perfect for an evening stroll to the famed pier. Sights nearby - Close to both Brighton Pavilion and The Dome, two of the towns main sights. Seafront boutique hotel with impressive sea and city views. 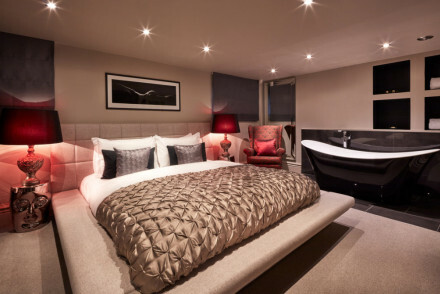 Luxurious large light rooms all individually designed, some with window side free standing baths. A 24-hour bar will keep party seekers occupied. The modern European restaurant has been highly accoladed. Ideal for a stylish city stay. 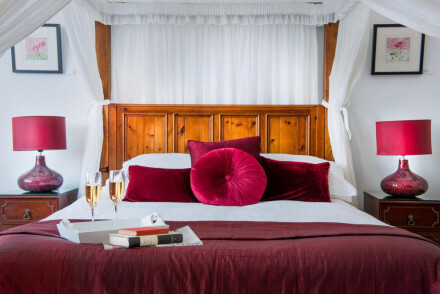 Romantic Break - Start with cocktails in the hip bar, a mouthwatering meal, a stroll along the pier and then back to your sumptuous handmade bed! City Style - Brighton's most happening hotel, interiors ooze style and confident elegance not to mention the unbeatable location and views. Great walks - Watch the sunset whilst strolling along Brighton Beach, or head down to the pier for a piece of Brighton Rock. Sights nearby - In prime location just down the road from the Brighton Pier, the big wheel and the Royal Pavilion. A stripped down contemporary refashioning of a Georgian townhouse. Individually styled rooms each featuring contemporary art. Some have in room free standing baths. Private terraces with great views of Regency Square. Well positioned and good value. Highly popular. Value chic - Great value central hotel, right on the beach with designer furnishings, gourmet breakfasts and plenty of charm. Great walks - Just off the shoreline, this hotel is ideally placed for those romantic strolls along Brighton beach. Sights nearby - Visit the nearby Royal Pavillion, or take a turn around Regency Square. Breezy seaside feel to this stylish edition of the ever dependable boutique chain. Smart rooms with feature wallpaper, large modern bathrooms, some with in room free standing baths. Lucky rooms have sea views. A pub style brasserie with french cuisine. A comfortable choice in a lively city. 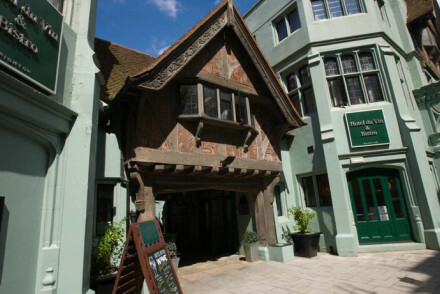 City Style - Gothic revival and mock Tudor buildings, with funky chic interiors and only five minutes from Brighton's hopping beachfront. Foodies - Sample wines from around the world at Laroche tasting room and Bistro du vin serves local produce cooked to perfection. Sights nearby - Visit the Sea Life Centre and Royal Pavillion, just a few minutes down the road. Great walks - Stroll along Brighton beach, or down to the lively pier.